The HD Watchdog works on all of the same engine applications as the HDGT. It does not tune the engine, but it does everything else – display up to 21 different gauge options, adjust the speed limiter, read and erase engine trouble codes and includes a driving coach with that displays instant fuel economy. Designed to give drivers more information so they can maximize the most fuel economy out of their rig. 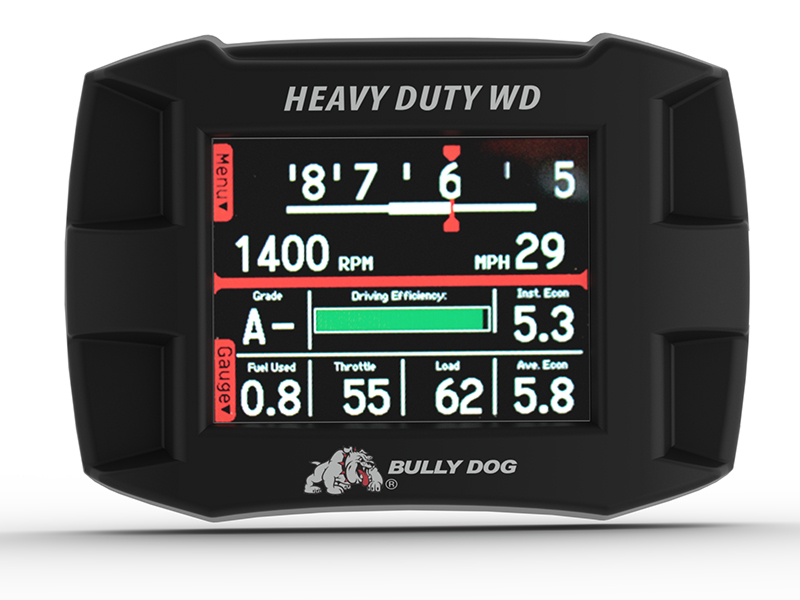 The Heavy Duty WatchDog has been officially recognized as a legal device to adjust the speed limiter in the province of Ontario, Canada. It is also recognized in Quebec, Canada as a way to adjust the speed limiter to 65 MPG, but the way the law was written, the officials in Quebec could not officially recognize the HDWD. And Adjust the speed limiter for both cruise and the petal. And Includes a driving coach. And can notify the driver if engine conditions are outside of their normal parameters. "We have been very impressed with the Heavy Duty Watchdog that we purchased from J&S. We have a 2014 Freightliner with a DD15 engine. Our main reason for purchasing was because we are in and out of Ontario and Quebec every week. It takes us about 30 seconds to set our speed limiter going into Canada and 30 seconds to set it coming out. Purchasing the HDWD has been one of the best deals that we have made in a very long time. We love having the ability to set the speed limiter ourselves. What a time saver as well as money saver the Heavy Duty WatchDog has been for us in the two months that we have had it so far."